Brand identity is something all companies worry about, particularly at World Cup time. Billions are being spent on advertising around the world's biggest sporting event, most of it in the name of brand awareness. One way companies are trying to attract and retain our attention is through memorable corporate slogans. These catchphrases are designed to sum up the essence of a business in a way that will stick in the mind and trip off the tongue. Marketing professionals say a corporate slogan must be concise and distinctive, encapsulating a basic "promise" to a company's users. People will judge companies against their slogans and will treat them harshly if they don't live up to it, according to Interbrand's Graham Hales. "This thing needs to be chiselled in concrete outside a firm's headquarters," he says. "As soon as a company does not substantiate this or fails to deliver against it, then they are on the road to ruin." Some are more sceptical about the power of a few words to excite people and to win their loyalty. Robert Jones, from brand experts Wolff Olins, says media-literate consumers rarely take claims about what firms stand for at face value. "If it somehow expresses the big idea of an organisation, a slogan can be very useful," he says. "If it doesn't, consumers will see through it and discard it." To get a sense of what makes an effective slogan, Graham Hales and Robert Jones cast their critical eyes over some well-known examples. Simon Edwards, Cobra Beer's marketing director, lent a hand. First used in the 1970s, the "probably the best" line has evolved in many different directions over the years. Carlsberg drinkers are successful but enjoy laughing at themselves. Carlsberg's slogan has resonated down the years, Graham Hales says, but has also put a bit of strain on the product. "The contemporary ads - like probably the best flatmate - have taken the concept into new territory and taken the pressure off Carlsberg of terms of it being probably the best lager in the world." "That is a very difficult thing to claim or substantiate." 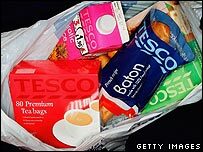 Popularised by Prunella Scales in a series of 1990s ads, the slogan has been a footnote to Tesco's huge growth. Tesco works hard for its customers, making their lives that bit easier in terms of cost and convenience. Tesco has hit the mark, Simon Edwards believes. "It includes a promise but also gets across what the company is about and gives an indication of its character," he says. It also acts as a daily reminder of Tesco's roots and its purpose, he says. "It serves as a good guide to Tesco staff that no matter how big the company is they need to think at the same level as every single person walking through the door." 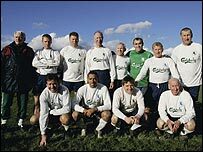 O2 adopted the phrase in 2002 after changing its name from BT Cellnet. O2 users are empowered by their phones and use them to do lots of different things. Phones are a symbol of their personal identity. O2 is trying to redefine what people can do with their phones, Simon Edwards says, while hinting that it is different from its rivals. "There is less emphasis on being a mobile phone company and more on what you can do and create. "It is relevant and motivating. You are going to look at them and what they are offering differently." The slogan has been in use for a couple of years. Our drivers are concerned about performance but also look for other things in their choice of car. They want to be taken on a journey and experience something different. "The concept goes beyond the four wheels and badge of a car and reflects more closely on how and why they create cars," says an impressed Graham Hales. But it requires the firm to make mould-breaking vehicles. "They can't build standard commoditised cars," he adds. "There has to be a dreamlike quality to what they produce." 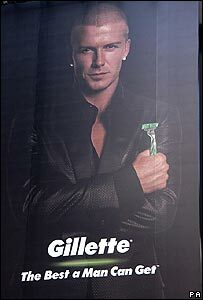 Launched in 2003, the slogan was part of a plan to revitalize the business and show it was in tune with its customers. 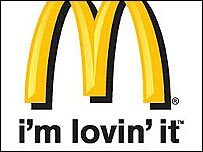 McDonald's restaurants are places for people to hang out and have fun. Our customers live full, healthy lives. This one leaves Simon Edwards rather cold although he admits he is not a regular McDonald's customer. "Its aim is obviously to stress personal enjoyment although that doesn't really come through to me." However, he says the fast-food firm is right to try and challenge negative perceptions of itself. "If brands are to remain multinational they have to constantly look at what is expected to them." Impact verdict: Off the menu? 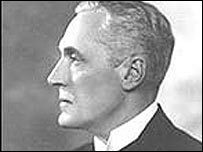 Spedan Lewis adopted the price pledge - which commits the company to match the prices of local rivals on standard goods - in 1925. What is John Lewis saying? John Lewis offers good value and is honest and open in its relationship with shoppers. This is strictly a price guarantee rather than an advertising slogan, although the business is closely identified with it. Robert Jones is intrigued by this but feels slightly uncomfortable. "It is a very peculiar phrase, very idiosyncratic. "I think John Lewis could have a more interesting slogan which reflects their special nature as an organisation." 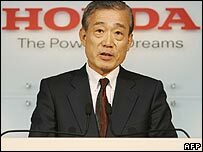 The slogan was first used in 1994. What is the Army saying? 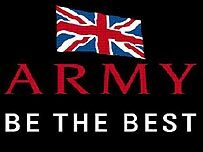 The Army can help you realise your potential and stand out from the crowd. Robert Jones' initial reaction to this slogan is positive. "It has two meanings - it is both an invitation and a challenge," he says. Despite warming to the idea, he is uncertain about the impact it has had. "It is striking but I don't think it has embedded itself in the national imagination." This first appeared in the 1990s. We are big with branches all over the world but we know countries inside out and are sensitive to local customs. With one of the world's largest advertising budgets, HSBC has spent millions on spreading this message across the globe. Yet, Robert Jones is not totally convinced about its value. "It sounds like a boardroom corporate strategy," he says. "It doesn't sound like an invitation to consumers. 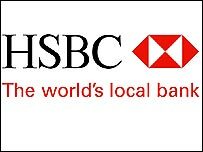 "There is no obvious reason why you should move your account to HSBC because it is the world's local bank." 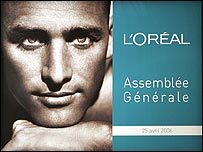 The slogan succeeded the long-standing "because I'm worth it" tag in 2004 amid concerns that the former was too materialistic. Looking good and feeling great are the most important things in life. No-one should stint on their personal appearance. Robert Jones is sceptical about this, while acknowledging that it is very catchy and endlessly repeatable. "It is just a verbal jingle. I don't think anybody really thinks that it means anything. "It does get under your skin but I don't think it communicates very much." Impact verdict: Is it worth it? 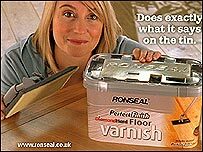 First seen in 1994, this slogan for quick-drying varnish is the one against which all others are often judged. This product works, no questions asked. "It encapsulates everything you need to know about the brand," says Graham Hales. "It works from a hidden truth about the DIY market - that a lot of people are blissfully confused - and helps demystify it. "The Ronseal promise is extremely valid and it works. It has a fantastic clarity to it." Will World Cup push pay off?